September is on the way, and you know what that means? 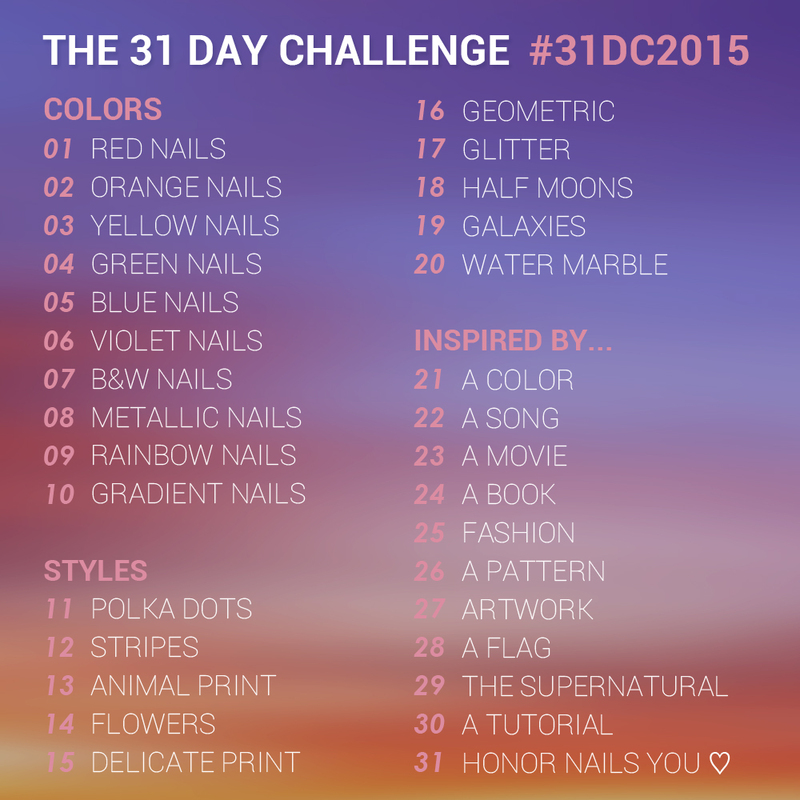 THE 31 DAY CHALLENGE! This yearly tradition is something I always enjoy, and I'm taking it on again for 2015. I invite you to join me if you're interested in challenging yourself, developing your nail art, and having a blast! This year, I'll probably be making a couple of modifications. 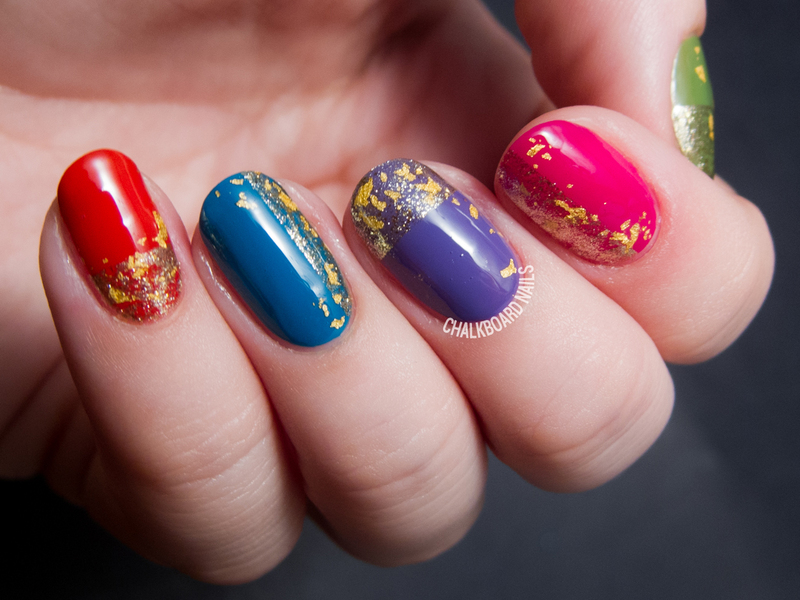 Since I am constantly wearing gels for my job as a nail tech, I think that I will be doing most of my artwork on sets of nail tips. I'll likely post them daily on my Instagram account, and then do roundups for each section of the challenge here on the blog. 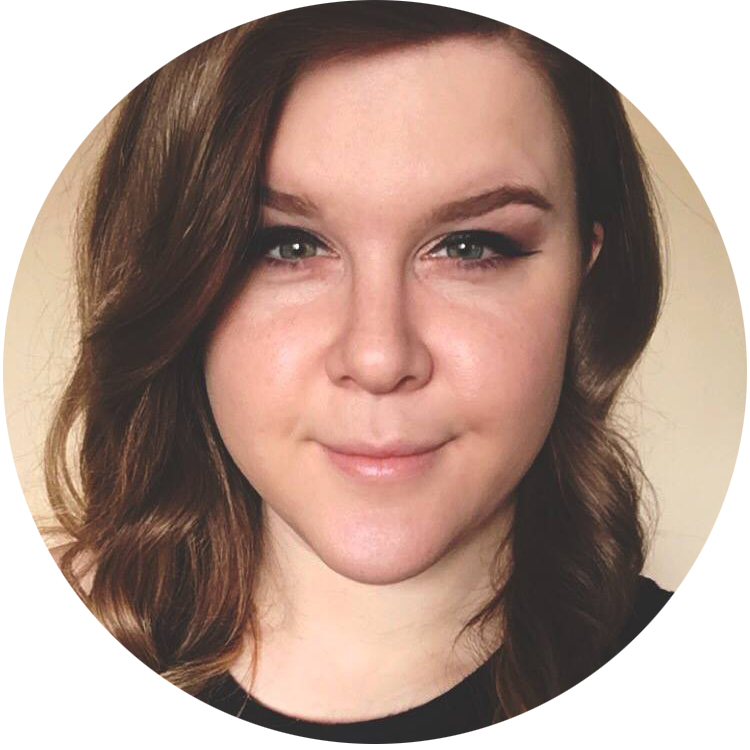 Want to check out the work that I've done previously? Check out my roundups for 2011, 2012, 2013, and 2014. 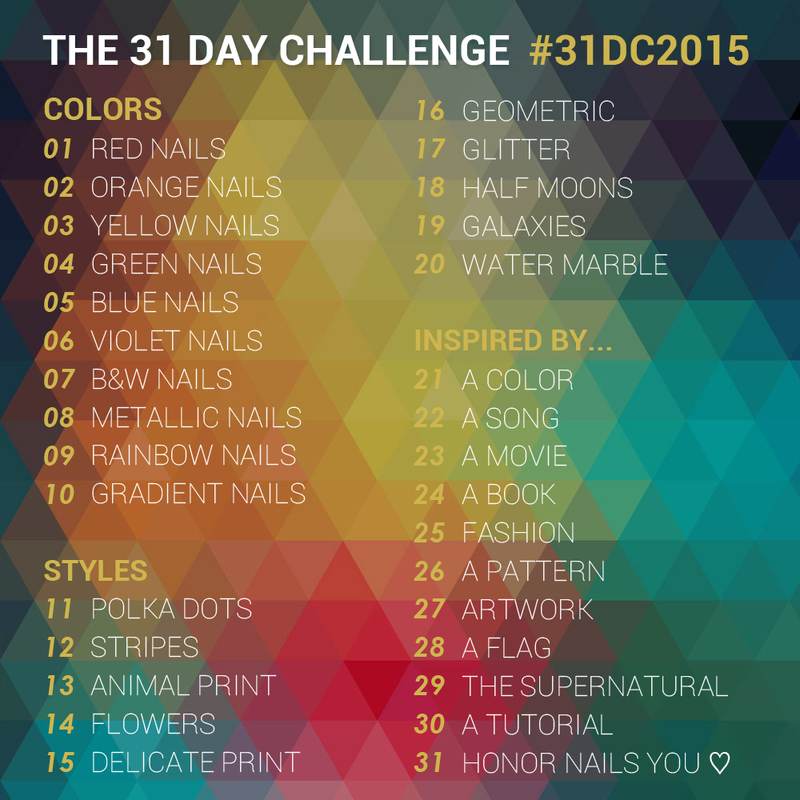 And one final note: don't forget to use this year's hashtag: #31DC2015! 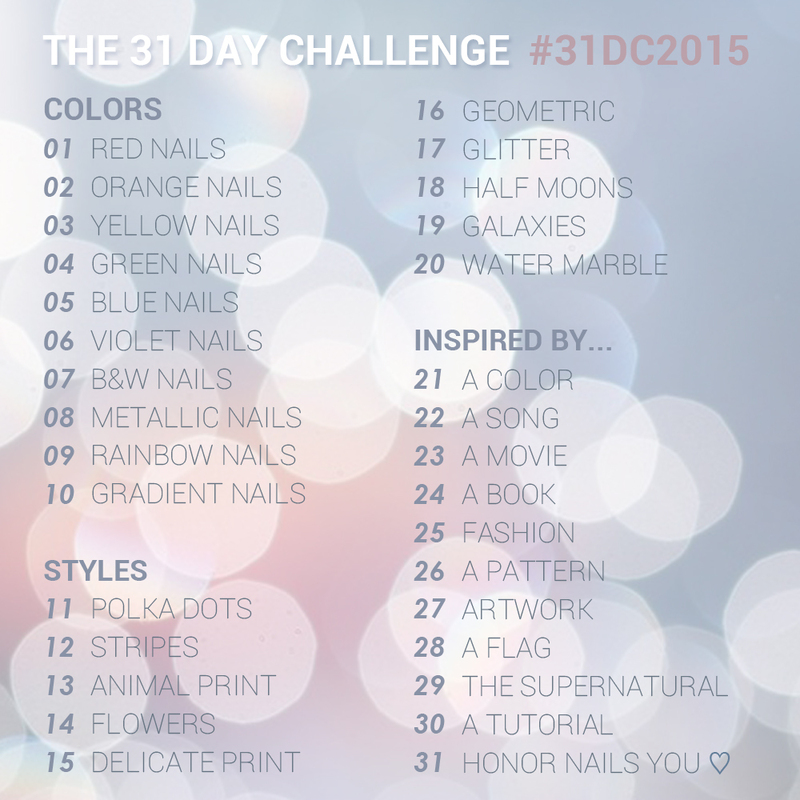 Here are the 31 Day Challenge prompts for 2015! Feel free to share, repost, upload to your blog, put on Instagram, etc. Click to enlarge.